A friend of mine who teaches social studies once pointed out to me that the first ten amendments to the U.S. Constitution (The Bill of Rights) are there to protect the rights of American citizens. They don’t give the government rights–they protect the citizens’ rights. In that context, the Second Amendment is there to protect the right of Americans to own guns. Seems pretty clear. Well, I think we are about to have a discussion on exactly what ‘infringed’ means. Fox News reported today that the governor of Connecticut, Dannel Malloy, wants to raise the cost of pistol fees in Connecticut. The state has a budget shortfall, and the governor thinks this might help close the gap. The five-year renewal fee for pistol permits would increase from $70 to $300, first-time five-year permits would increase from $140 to $370 and fees for background checks would increase from $50 to $75. The plan is expected to raise nearly $12 million per year in additional revenue, CBS News and The Associated Press reported. Frankly, if I lived in Connecticut, I might consider those rather drastic increases. Gun-rights supporters and state Republican lawmakers said this increase would preclude many people from exercising their Second Amendment right to bear arms, since the proposed fees would be among the highest in the country. The National Rifle Association called the governor’s proposal “outrageous,” according to the report. Malloy said the fees are in line with other jurisdictions and will cover the state’s administrative costs for gun permits and background checks. To me, the size of the increase would qualify as ‘infringe.’ Making it expensive to own a gun is one way anti-gun politicians can legislate gun restrictions without actually legislating gun restrictions. I hope the governor’s idea is quickly shot down. Our culture has some very strange ideas about who is responsible for what. Somehow we have forgotten that as people we make decisions all of the time and that those decisions have consequences. Sometimes those decisions have horrible consequences, but when all is said and done, the consequences are the result of an individual’s decisions. A recent lawsuit against Freedom Group, the owners of both Bushmaster and Remington Arms, relating to the tragic shooting at Sandy Hook Elementary School in Connecticut illustrates the fact that we no longer allow individuals to be held accountable for their actions. Hot Air posted an article about the lawsuit today. The mass shooting at Sandy Hook Elementary School had a huge impact on the national discourse and, to some extent, the electoral battlefield, but there’s another fight dragging on as a result of it. Some of the families who lost loved ones during the attack by a deranged madman filed a lawsuit as a result. They weren’t going after the shooter’s estate or even that of his mother, but the parent company of the manufacturer who produced one of the guns used in the attack. Freedom Group, the owners of both Bushmaster and Remington Arms (among others) was their target, claiming that they knowingly sold a dangerous product which wound up being used against the children and teachers at the school. This week the company is pushing back, seeking the dismissal of the case on grounds that it is essentially baseless and conflicts with current law. You can argue that the guns were not properly secured and got into the hands of a dangerous person, but that is not the fault of the manufacturing company. Had there been a person in the school with a gun manufactured by the same company, there would have been fewer lives lost–does that mean that the product is no longer dangerous, but a safety item? It’s easy to understand the sorrow and anger felt by the Sandy Hook families, just as it’s obvious how and why anti-Second Amendment groups would seek to use them as pawns to further their cause. None of that changes the facts on the ground, however. This was an ill considered venture to begin with and we’re in a lot of trouble as a nation if the courts manage to bend reality enough to allow them to prevail. Remember President Obama’s campaign promise to restore the image of America in the eyes of the world? Yesterday the Independent Journal Review posted an article about a high school student using the internet to prepare for a debate. Student debates are a really good thing–I think they give students a chance to evaluate issues and form opinions based on both sides of the argument. But wait, about that both sides of the argument part. Andrew Lampart, a senior at Nonnewaug High School in Connecticut, made an unsettling discovery while doing research for a class debate on gun control. He also found that pro-life sites were blocked by the school’s firewall while pro-choice websites like Plannned Parenthood were not. He even found that Christianity.com couldn’t be accessed, but Islam-guide.com was readily available. Please follow the link above to the Independent Journal Review to see the list of websites the school allowed and those it blocked. Meanwhile, I wonder how the student is supposed to prepare for the debate. I apologize in advance for the fact that this will be a rather long article, but I missed the beginning of this story, so I need to catch up. On March 16th Freedom Outpost posted a story about a raid by the Bureau of Alcohol Tobacco and Firearms (ATF) on Ares Armor. You can see the video by following the link to freedom outpost. The article at freedom outpost also explains how the ATF managed to get around the restraining order. Freedom Outpost posted an article yesterday showing the state government’s response to this raid. Other states such as Alaska and Kansas have passed similar legislation. Missouri is in the process of pushing similar legislation through for a second time, after Governor Jay Nixon vetoed the Second Amendment Preservation Act last year. Several other states have introduced their version of the Second Amendment Preservation Act to nullify federal gun laws, including Florida, West Virginia, Tennessee, and Arizona. It is unfortunate that we have come to a point where the states have to defend the U. S. Constitution because the federal government is ignoring it. The Boston Globe posted an article today about the fight among the New England States for ObamaCare grants to set up websites. Originally, Massachusetts was given a $45 million federal innovation grant to build a state-of-the-art consumer platform for President Obama’s insurance program. Massachusetts is a bit of a ‘techie’ state, and it was hoped that they would share the technical knowledge used to build their ObamaCare website with the other New England states. That sounds like a very reasonable idea in theory. Unfortunately, in practice it didn’t work. Massachusetts has failed to produce a successful computer model to share, and in the meantime Connecticut’s insurance marketplace, built by Deloitte LLP, is working so well that the state is now offering its computer system as a model for other struggling states. Counihan said five states have expressed interest in piggybacking off Connecticut’s insurance marketplace, but not Massachusetts. Connecticut health care officials are now mounting a campaign to collect a portion of a $45 million federal innovation grant that was awarded to Massachusetts to build a state-of-the-art consumer platform for President Obama’s insurance program. …But, Rhode Island state Representative Joseph McNamara, a Democrat on the General Assembly’s Permanent Joint Committee on Healthcare Oversight, said he thinks Rhode Island could benefit from the money. Federal grants for the Rhode Island insurance marketplace end by July 2015, when the state would face a $24 million shortfall, he said. Somewhere along the way, someone needs to remind these states that this is not ‘free’ money. 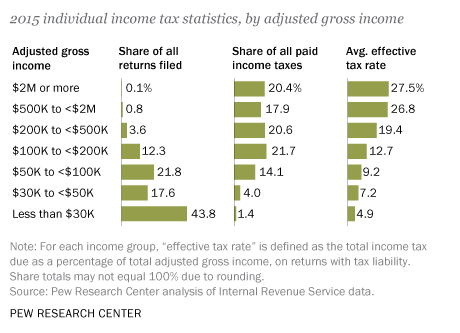 It comes off the backs of overtaxed taxpayers who are paying upwards of 40 percent of their earnings in taxes. At some point we need to admit that ObamaCare is costing considerably more money than anticipated and repeal it. Unfortunately, as long as states are willing to fight over federal tax money in order to avoid spending their state tax money, the federal deficit will continue to grow. Yesterday The Examiner posted an article about the latest development in Connecticut’s war on gun owners. Gun rights legal expert and activist David Hardy reported Friday that 250 law enforcement officers in Connecticut have signed an open letter stating that they will not enforce the new anti-gun and magazine laws, which they consider to be a violation of the Second Amendment to the U.S. Constitution. David Hardy is reporting that Tyler Jackson, the head of the Connecticut Peace Officers Association, has emailed him a letter stating that the head of the Connecticut Peace Officers’ Assn has released an open letter stating that the police will not “be party to the oppression of the people of the state by enforcing an unconstitutional law.” So far 250 LEOs have cosigned the letter. Why is the State of Connecticut attempting to disarm its citizens? Moving to North Carolina from Massachusetts has been something of a culture shock in a number of areas. One of those areas is the attitude toward guns. Generally speaking, I can assume that wherever I am in North Carolina there are probably at least three or four people around me with concealed carry permits that are carrying guns. Although I am not particularly interested in carrying a gun myself, I feel perfectly safe in the midst of people who do concealed carry. Actually, I feel safer than I did in Massachusetts. I know if someone comes into the mall with bad intentions, he will be met with a number of armed citizens with good intentions. That’s a good thing. Most of the mass shootings we have had have been in gun-free zones. People who intend to harm people generally like to do it where they will meet the least resistance. I have no problem with gun permits, but guns should not have to be registered, and they should not be subject to seizure by the state or federal government. Taking guns away from law-abiding Connecticut citizens is not gun control–it is disarming the civilian population–never a good idea! On Monday the Hartford Courant posted an article about the progress in Connecticut’s attempt to register all military-style rifles with state police by December 31. The effort has not gone well. The law was adopted after the December 2012 massacre at Sandy Hook Elementary School. Its main provision was a dramatic expansion of guns classified as assault weapons banned for sale in the state. The ban now includes any semiautomatic firearm — that is, one that reloads a round after each pull of the trigger — if it has even a single military-style characteristic, such as a pistol grip. Any semiautomatic firearm banned for sale could remain legal if its owner registered it by Dec. 31. Those that were made before the state’s first assault rifle law in 1993, and were not deemed to be assault weapons in that law, do not have to be registered. The AR-15, a type of rifle, not a brand, is among those that must be registered and represents 50 percent to 60 percent of all rifle sales in the United States in recent years, federal figures show. Sorting out the number of potential new felons is a guessing game. State police have not added up the total number of people who registered the 50,000 firearms, Vance said. So even if we knew the number of illegal guns in the state, we’d have a hard time knowing how many owners they had. As logical as gun registration may seem to lawmakers, its history is not a positive one. Historically gun registration has been the prelude to a seizure of guns by a tyrannical government. An unarmed population is much more easily controlled than an armed population. There is also the small matter of the Second Amendment to the U. S. Constitution. 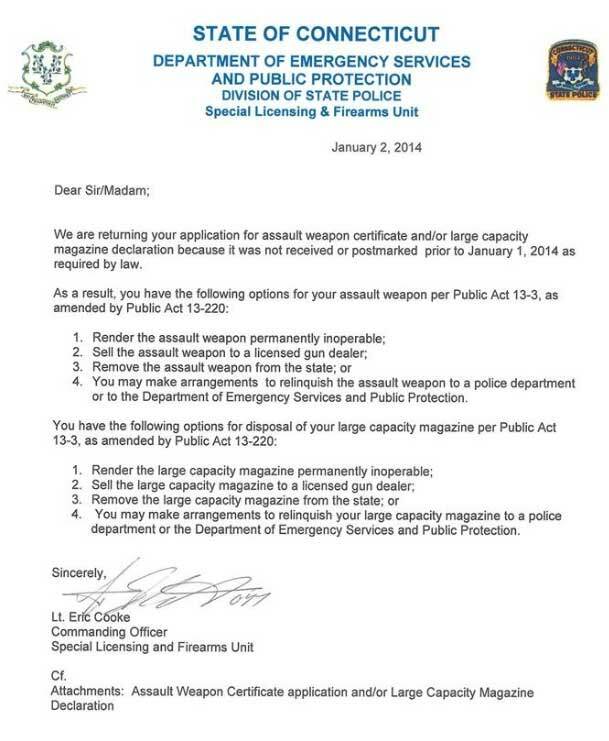 It will be interesting to see of Connecticut attempts to enforce its new gun registration law. I really don’t understand a lot about the concept of assault rifles, but I do wonder about a statement in the Hartford Courant article. The article states that this law was passed in response to what happened at Sandy Hook Elementary School. I totally agree that what happened at Sandy Hook was a terrible tragedy, but is there anything in this law that is actually related to that event or that would have prevented that event? I have no problem with encouraging high school freshmen to protect the environment and to be politically aware. I do, however, have a problem with telling them what their criteria should be when they vote. The article points out that the students are told that they do not have to answer all of the questions. I would like to suggest that they not be asked to answer any of the questions, and we go back to spending health class encouraging good individual health habits. This quiz sounds more like brainwashing than a quiz. I went with Howard to DMV this morning when he renewed his drivers license for the first time since the new government program went into effect. Since we had the required documents with us – certified birth certificate, passport, proof of social security, tax bill, and utility bill it was less of a hassle than I expected it to be. However, there were a few people ahead of us that were told that they didn’t have all the documents needed for a verified drivers license. I was puzzled by this post and did some investigating. It seems that Connecticut has a new program for renewing driver’s licenses. The Examiner posted an article on this change in March 2012, and the Connecticut Mirror posted and article about it in September 2011. Connecticut launched a campaign today to publicize how to obtain a driver’s license that meets the stricter verification standards of a federal “Real ID” law passed in 2005, but never implemented in face of objections from two dozen states. Beginning Oct. 3, drivers in Connecticut will have two choices when renewing their licenses: accept a license stamped “not for federal identification,” or provide proof of residence and immigration status for an ID with a gold star. The Real ID Act, enacted in 2005 in the wake of the World Trade Center attacks, sets forth certain requirements for state driver’s licenses and identification cards in order for the cards to be accepted by the federal government for “official” purposes. The purposed federal program, expected to go into effect in 2017, would require verified state identification to enter government buildings, pass airport security even for domestic flights, and possibly other commercial transactions. Connecticut rolled out its verified driver’s license and identification card program, called SelectCT ID, in October of last year. Connecticut will phase in the new verified driver’s licenses over the next six years as driver’s licenses are renewed. At least for the first renewal, Connecticut residents are given the choice of obtaining a verified driver’s license or a regular driver’s license. If a regular driver’s license is chosen, it will not be acceptable for official federal government purposes. As early as 2017, people without verified state identification may need to show a US passport for domestic air travel. So let me get this straight. You don’t have to show an ID card to vote, but you have to bring all sorts of additional documentation to get a drivers license that will allow you to board an airplane as a passenger. This is a total “Beam me up, Scotty” moment. NBC Connecticut is reporting today that three recipients of the Medal of Honor will present the Congressional Medal of Honor Society’s highest civilian award, the Citizen Honors Medal posthumously to the six educators that were killed trying to protect their students in Newtown. Connecticut on December 14th. I think that is wonderful–they are being awarded this medal because they were killed trying to protect their students. However, there is another group of shooting victims that is being denied the honor they have earned. The Department of Defense is refusing to award the Purple Heart to those soldiers killed on the attack at Fort Hood, Texas. If you are attacked at your base and people are killed, isn’t that combat? Admittedly it is unplanned combat, but isn’t a lot of combat unplanned? Thirteen people were killed and 32 injured in the November 2009 shootings on the base. Maj. Nidal Hasan, the alleged shooter, awaits a military trial on premeditated murder and attempted murder charges. Fort Hood was a terrorist act–it was not ‘workplace violence.’ Maj. Hasan yelled “Allahu Akbar” as he fired. We are at war–this was an attack by the enemy. We need to acknowledge that and make sure that all the victims of that attack receive the honor and benefits they are entitled to. Meanwhile, we do not hesitate to honor civilians in equally awful situations. Both groups should receive medals in a timely fashion.